As a Grenoble-based ski-mountaineer, back-packer and specialist in Berber history and culture (Hannibal’s Numidians were the ancestors of to-day’s Berbers), and with extensive field experience of early XXth-century Atlas mountain battlefields between French and Moroccan Berber fighters, Michael Peyron has long felt attracted by this specific exercise in classic warfare, the more so as it is relevant to Amazigh history. 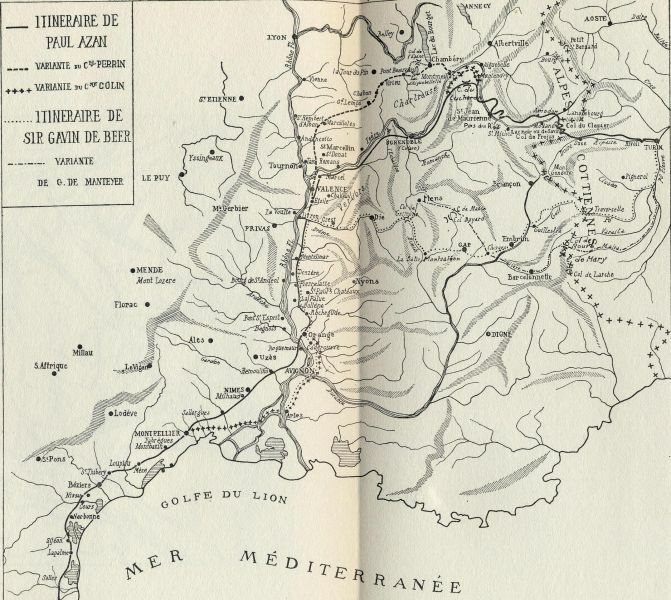 Intrigued by the endeavours of countless amateurs, historians, scholars and scientists to locate the strategic alpine pass crossed by Hannibal and his 26,000 or so soldiers during the Second Punic War, this writer volunteers a brief summary of a long disputed topic, following frequent summer visits to the Mont-Cenis and other Alpine border areas over the past forty years. With regard to the exact location of Hannibal’s crossing there is at present insufficient hard evidence to decide in favour of a northern, intermediate or southern route(s). It should also be borne in mind, that these events took place over two millennia ago and that the terrain may have undergone more than cosmetic change in the interval. 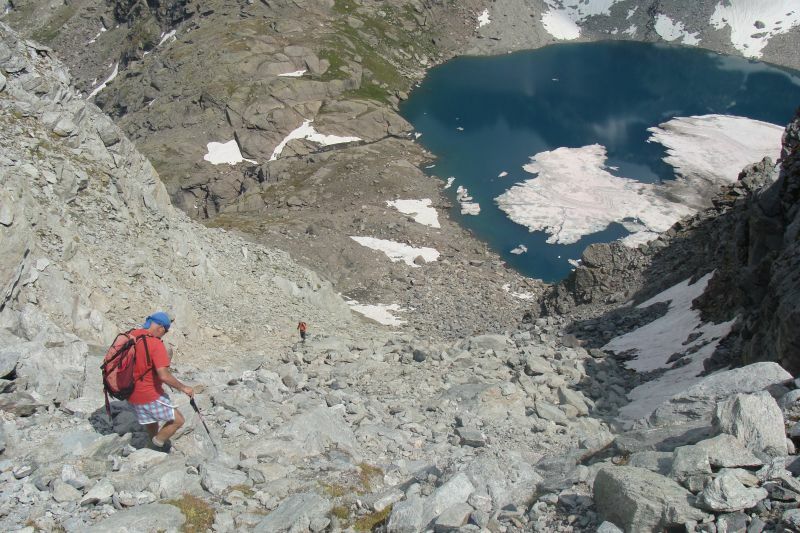 If neglected, a mountain track can be wiped out rapidly by repeated erosion (avalanche, rain, stone-fall or land-slide), to say nothing of changes in glacial- and snow-cover in early times for which there is a paucity of reliable data. A problem compounded by the fact that in re-charting each route, historians base their topographical estimations on prominent land-marks that appear to match Polybius’ and/or Livy’s description. This highly subjective approach results in miscellaneous interpretations and distortions. A typical example is identification of a low pass in the foot-hills crossed on Day 1 of Hannibal’s alpine traverse, coinciding with an attack by Celtic tribesmen – probably the Allobroges (Torr 1924) – on the Carthaginian column, for which there are as many possible candidates as route variations (Dent du Chat, Pas de la Coche, Col de Grimone, Col de Cabre, etc. ), some of them involving apparently unnecessary detours. Trying to make sense out of two totally different accounts – that of Polybius and Livy – probably explains why there is so much disagreement between self-appointed experts in their attempts to establish the bona fide route. Not to mention that, coming after Hannibal, his brother Hasdrubal’s fateful traverse of the Alps (207 BC) would appear to have followed a different path, possibly the Mont-Cenis (Torr 1924), which would explain discrepancies between Livy’s description compared with that of Polybius, neither of which were based on eye-witnesses accounts (though the latter did subsequently go over the route), thus further blurring the issue. Finally, there have not been any convincing archaeological finds datable to the Punic period near any of these mountain passes, a long expected break-through that would otherwise have clinched the matter. Though an elephant’s skeleton was discovered below the Petit St Bernard in the XVIIIth century (Torr 1924, quoting Saint-Simon, 1770), such a relic is inconclusive since the Romans used elephants too. 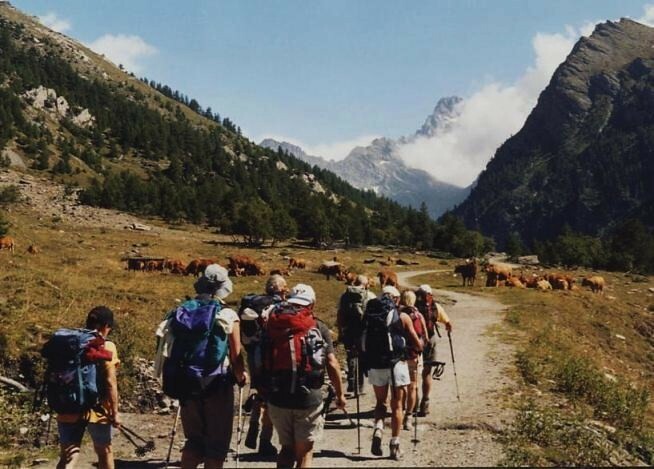 There have also been unconfirmed reports of javelins and helmets being found at various times and locations in the Verdon valley, another possible itinerary. This writer has likewise heard rumours of supposedly Carthaginian coins near St Jean-de-Maurienne, but nothing tangible. Declares Hunt (2006): “Until compelling archaeological evidence is found, (…) the question remains unanswered”. 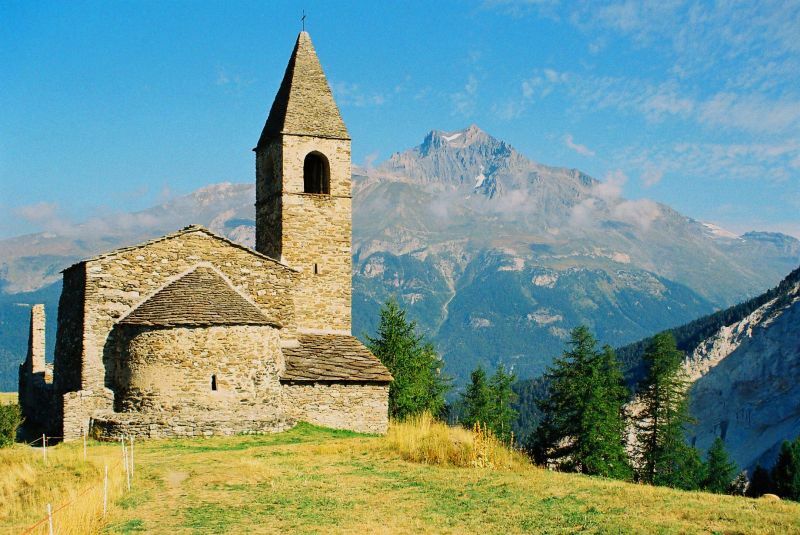 Mommsen (1865), Aimé Bocquet (2009), and many others are staunch advocates of the Petit St Bernard linking the Tarentaise to the Val d’Aosta. However, despite the relatively smooth going on this route, one is hard put to explain why Hannibal should have made such a long detour to the north. 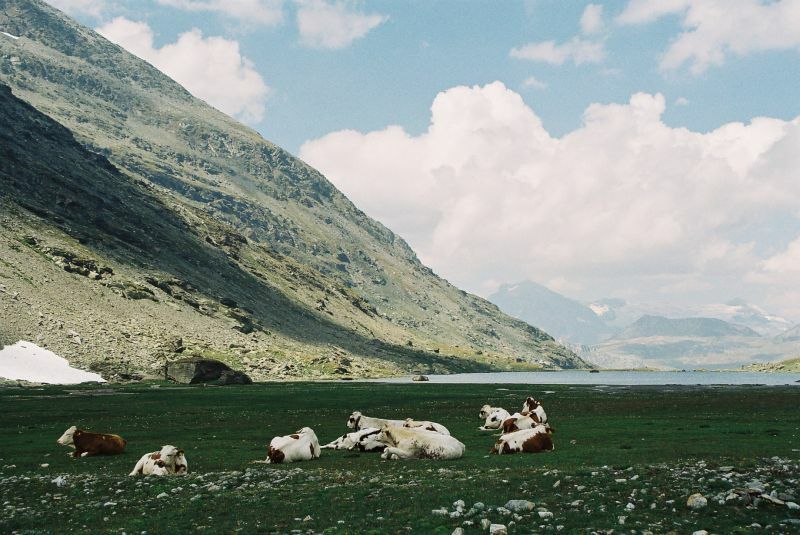 The Haute Maurienne route has also tempted many an expert, mainly via the Mont-Cenis, a choice approved in his day by Napoleon Bonaparte. Over a century later, after different French officiers (Colonel Perrin, Captain Colin, etc.) had concluded that the Clapier must be the vital col, British chamois-hunter Lavis Trafford (1956) looked into oral tradition at Bramans. Buttressed by a local claim that a general named Hannibal had crossed the Clapier in bygone times, he pushes hard for that pass and/or the nearby Savine-Coche saddle. It is currently fashionable to name the Clapier as being Hannibal’s pass, a stance supported by Geoffroy de Galbert (2008); not to mention Patrick Hunt, who has recently scoured the region with parties of keen students from Stanford University. As a result the latter has penned a book on mountain archaeology (2007), studies on lichen growth, pollen records and glacial evolution; also speculations about a potentially disease-ridden Carthaginian army as partial explanation for its inordinately high losses during the Alpine traverse (Hunt & Seicean, 2006). Interestingly, sections of this route have been tested with live elephants in recent times, though far from 100% convincingly (Boser 2007). Bocquet (2009), on the other hand, defending his stand in favour of the Petit St Bernard, derides the advocates of the Clapier route, labelling them as “well-meaning people who make unsupported statements”. He contends that, apart from the steepness of the descent on the Italian side, even the Savine-Coche variant would have entailed traversing a small glacier, but which in Hannibal’s day, before “the Roman climatic optimum”, was arguably more extensive and would have impeded the passage of elephants and horses. Yet this is debatable, since recent findings (Neumann 1992) suggest that the glacial cover around 218 BC was similar to today, with old snow lasting into mid-summer above 2500m, but fresh falls occurring early-autumn, when swift shifts in weather patterns are not unknown. For example, October 10, 2009, was a crisp, sunny day in Vallon d’Ambin, near Col de Clapier, while next morning the weather had broken, overnight snow covering slopes of Dent Parachée down to 2200m. However, present-day (2010) climatic conditions, glacial cover and early-autumn presence of névé snow, used as a yard-stick to speculate on what a specific pass may have looked like in 218 BC (matching classic source material), must allow for the fact that since the summer 2003 heat-wave, glaciers have receded dramatically in the Alpes du Nord. As a result, today’s conditions offer but a poor indication of those prevalent in Hannibal’s time. 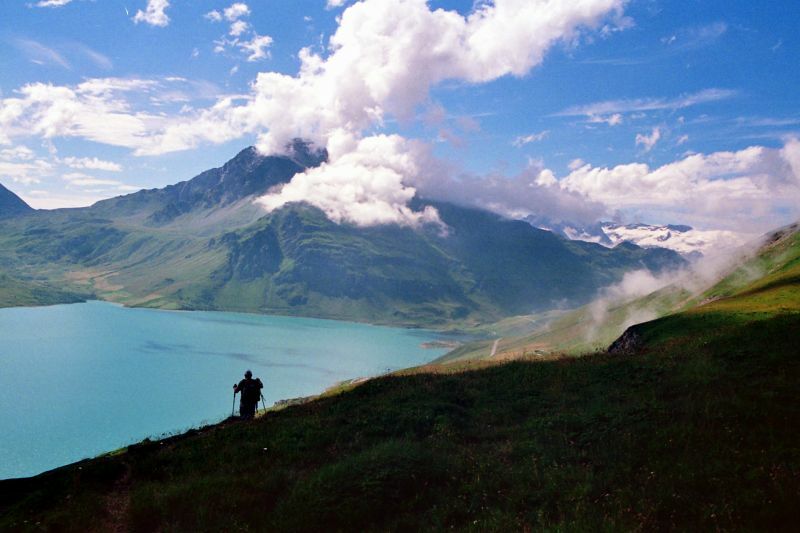 In August 2009 the present writer made a three-day tour on foot of the Mont-Cenis area. The over-riding impression was that: 1) even the ascent from Bramans to Le Planay, would have been a strenuous undertaking in far-off times without a road; 2) the steep, narrow and rocky, though favourably exposed forest section up from Le Planay to Petit Mont-Cenis, presenting signs in places of an ancient caravan track, apparently used at the time of Charlemagne, would have been extremely arduous for elephants. The elephants used by Hannibal, however, belonging to the now extinct medium-sized, nimble North African variety might have found their way up. Even if the Arc valley narrows dramatically upstream from Termignon (Blache 1962), how much easier to have climbed mild slopes to Mont-Cenis from present-day Lanslebourg, then over the Italian side, thus precluding the unnecessary effort of hoisting an entire army to nearly 2500m at Col de Clapier. On the positive side, however, an approach from the Mont-Cenis and the Petit Mont-Cenis guarantees plain sailing, so to speak, with a minimal slope up to the Clapier. And, on the eve of the actual crossing, one can visualize Hannibal’s 26,000 footsore fighting men bivouacking below the pass in freezing discomfort on that large pasture by Lake Savine. Depending on early autumn snow-cover, there would have been water and grass for the animals and flat ground for setting up shelters. With little or no firewood in the vicintiy. Onward progress down the Italian side, however, appears uncompromisingly steep – even precipitous in places – as Bocquet (2009) points out, thus casting serious doubt on the feasibility of this route. Arguments are not lacking in favour of the Southern routes such as Montgenèvre (Connolly 1978). Also a less well-known candidate: Col de Malaure (Queyras), at 2522m a somewhat tricky undertaking, supported by Bonus (1925), and Renaud (1994) who points out that the pass presents a promontory on its steep southern side from which, with Italy in sight, Hannibal could have exhorted his troops for a final effort. Other contenders are the Col de La Croix near Échalp (Queyras), for long the main route for shepherds and journey-men from Queyras to Piedmont; Col Mary in Upper Ubaye, crossed by this writer in the summer of 1977 and defended by G. de Manteyer (1945). Finally, Col de Larche, for which Pierre Ollier makes out a reasonably strong case on the Web (2008), while dismissing Clapier and Savine-Coche as unnecessarily high compared to more suitable and highly feasible Mont-Cenis, and “offering no advantages, other than to create a diversion on military grounds”. Most of these are based on an approach up the Durance, referred to as Druentia, according to one interpretation of the old texts. British author Bernard Levin (1987) makes little contribution to the discussion. 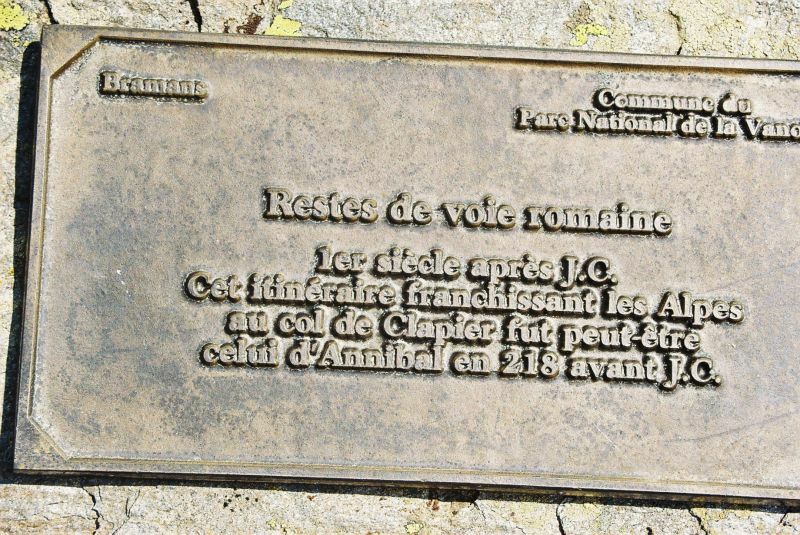 After grudgingly admitting that the Montgenèvre and the Mont-Cenis are “both strong candidates”, he lamely concludes his TV-sponsored caper at the Col Agnel, a pass with which the present writer was initially unimpressed as a feasible crossing-point for elephants, despite the presence of a plaque commemorating Hannibal’s troops some 7 km from the col. Cecil Torr (1924) dismisses the Petit St. Bernard, even the Mont-Cenis and Clapier, as taking Hannibal unnecessarily far north (especially with winter approaching and Scipio’s army having re-embarked). He examines the evidence in favour of Col de Clapier before presenting a fairly convincing case in favour of a route up the Durance to Col de Larche, or Traversette. Sir Gavin De Beer (1955), a museum director and mountaineer of some repute, supports the Traversette route, but is also adamant that Hannibal passed the Col de Grimone (Cremonis) in the Diois area on the way, only to have his findings dismissed within a year – as often happens in such circumstances – by colleagues of the Royal Society and Alpine Club. 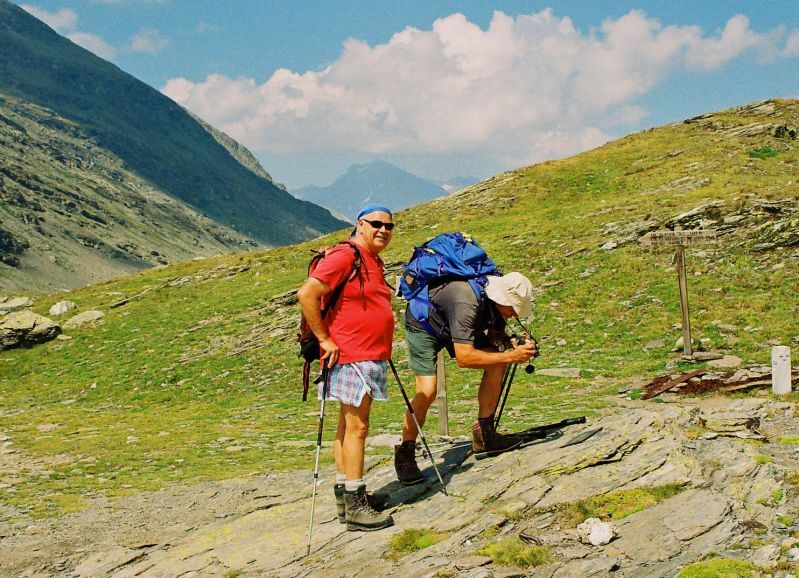 Augustin Guillaume (1967), a veteran Atlas Mountain campaigner of the 1920s and native of Guillestre, conducts an exhaustive survey both of the Clapier (Petit Mont-Cenis) and Traversette route. While deciding in favour of neither, he does rehabilitate the possibility of a route through the Queyras region, pointing out that Hannibal need not have followed the treacherous Guil gorge. 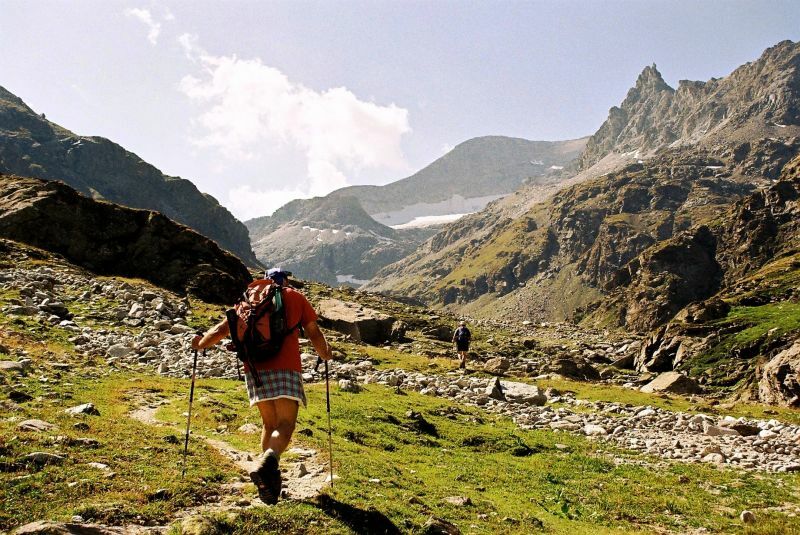 An ancient, previously overlooked trail (probably used since Roman times) via Eygliers, de Gros, the vale of Furfande and Col Garnier, would have enabled Hannibal to outflank the Guil gorge, thus reaching the upper part of the valley without serious mishap. John Prevas(1998), combining the field experience of an alpinist with the qualities of a Greek scholar, argues in favour of a route via the upper Durance valley and over the Traversette pass, in an authoritative and brilliantly documented work that convinces all but a few sceptics. Most recently, geologist William Mahaney (2009), late of York University (Ontario), after a thorough scientific re-appraisal of the evidence, has made out a strong case for Traversette, based on the presence of a two-tier rock-fall at 2600m on the lee side of the pass, and the late presence of névé snow, that seemingly tallies with description by Polybius (Mahaney, 2008b). Intrigued by this explanation, the present writer believes the Traversette pass, given the sheer steepness of the initial descent towards Italy would have been impossible unless Hannibal’s elephants had been belayed with ropes over the initial section below the pass on the Italian side. In his book Guillaume publishes photographs that clearly show how steep those slopes were (see above photo), not to mention the presence of snow. On the other hand, Mahaney’s identification of the alpine meadows below the Traversette on the Italian side, where this writer twice picnicked, as the “regrouping area”, makes sense in terms of altitude and resources. 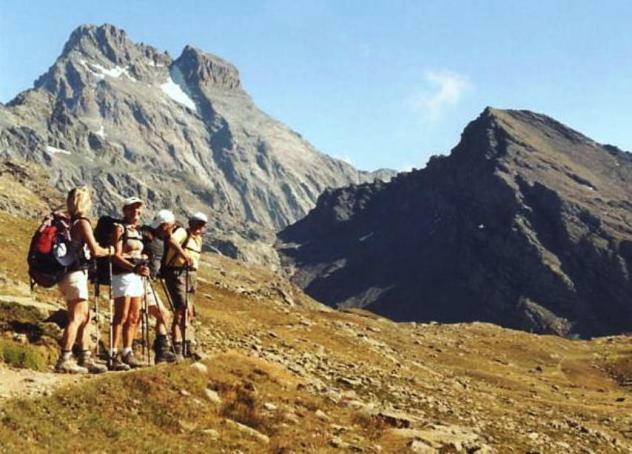 It contrasts favourably with the Savine alpage on the French side of rival Clapier pass, a similar “regrouping area”, but exposed and uncomfortable. Hunt, who apparently almost came to grief there, calls the Traversette a “killer” and naturally judges it less plausible as Hannibal’s pass than Col de Clapier (Jia 2007). In the realm of conjecture and hypothesis surrounding Hannibal’s crossing, other items have caught researchers’ imagination. No doubt the most interesting is the matter of the rock-splitting vinegar, or fired rock (Hunt, 2007; Mahaney 2008b), which arose through Hannibal’s alleged use of bundles of vinegar-soaked firewood tied round boulders, then lit up so as to crack said boulders that were blocking downward progress by elephants and horses. Evidence of such activity has been found down the Italian slope from Clapier, though scientific measurements have failed to date it to the Punic period. The second point is whether or not Hannibal gave his troops a Caesar-after Dyrrachium-style speech to coax them over the pass (a typical device in classic military accounts), whence the plains of northern Italy and the road to Rome were clearly visible. Most experts contend that a pass presenting such a criterion would be the right one. In fact in the 1960s Guillaume had already commented on the clear view of Italy one could obtain from this pass, especially in early winter. Understandably, this has become a bone of contention among researchers, both Clapier and Traversette apparently fitting this description, though on his website Bocquet (2009) challenges anyone to actually see Torino from Col de Clapier! A journalist named Boser (2007) seems to have done just that. Having accompanied Hunt up to Clapier, he claims: “Peering through a purple haze, I see Turin some 70 miles away.” Truth is in the eyes of the beholder… The debate is possibly pointless, anyhow, as the veracity of this episode is dismissed by some researchers as a mere figment of Livy’s imagination (Connolly 1978). Meanwhile, even admitting that Hannibal was able to descry the Pô plain in the distance, such a clear view would have required perfect weather. 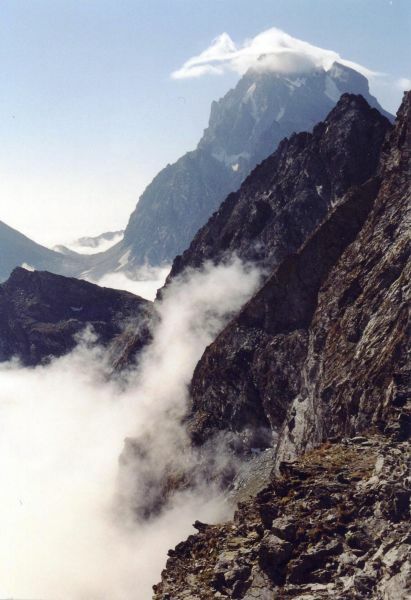 Anyone familiar with the Franco-Italian frontier ridge will have experienced the lombarde factor – billowing clouds that move in from Lombardy, accompanied by foehn effect – regularly contributing to poor visibility (Grard & Mathevet 1967; Morel & Bonnet 2008), specifically in autumn – when Hannibal made the crossing. A point apparently downplayed by some specialists, who may have only visited during fair-weather summer spells. Suffice it to say that this author’s party met with typical lombarde conditions on various occasions in summer and early autumn between 1986 and 2009, both near the Traversette, and at or near Clapier, when Torino remained discreetly veiled. Another disputed point is the exact location of the ambush on Hannibal’s baggage train on Day 7. 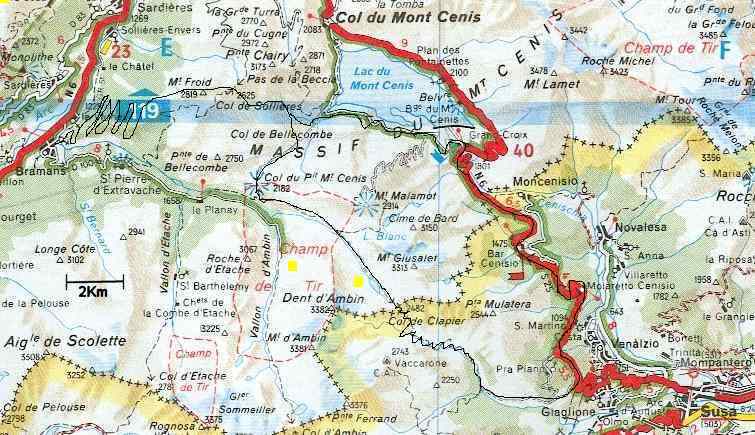 The most plausible sites are the Gorge de Vilette between Moutiers and Aime on the Isère; the gorges slightly upstream from Modane in the Maurienne; or, on the southern route, a point 10 km short of Briançon on the Upper Durance (Connolly 1978); all of which tally with the primary sources pointing to an ambush occurring some three days’ march from the vital pass, whether Petit St. Bernard, Mont-Cenis, or Montgenèvre. Or yet again, there is an interesting theory that the Carthaginian army underwent serious mauling on the Upper Guil, somewhere near present-day Château-Queyras (Mahaney & Tricart 2008c). As if to differ from the prevailing Clapier/Traversette dispute a fresh tendency has emerged in favour of less conventional routes, especially in the south, some pundits arguing that Hannibal followed the Drac valley, the Verdon, the Ouvèze, or the Durance, for a crossing of the Montgenèvre. The most ambitious of the recent studies is no doubt that undertaken by retiree Raymond Rozet, based on Polybius’ text coupled with painstaking field-work. The Carthaginian leader, he argues, must have followed the old “route des Ligures” between Buis and Mévouillon, eastward from the Baronnies towards Laragne-Monteglin, a rock-painting depicting an elephant discovered in a cave along the Toulourenc gorge beneath Mont Ventoux being presented as cast-iron evidence of Hannibal’s passage. As to the identity of the main pass, however, Rozet keeps his cards close to his chest, though it could be either Larche or Montgenèvre. The Wood brothers, an enterprising trio on mountain bikes, did a documentary feature for the BBC in the late autumn of 2009, complete with film crew and local guides, in a fun re-run of Levin’s Hannibal’s footsteps. All in all a pleasant read, and refreshingly devoid of media hype. Levin’s Gorges de Gats thus receives a new visit, though one of the Woods brethren gets to manhandle his bike up Traversette, rather than Agnel, as main col. To cover all possibilities another brother pedals blithely over Montgenèvre and a third checks out Clapier via Lanslebourg and Petit Mont-Cenis, somehow tallying with this writer’s conclusions as to the probable Hannibal trail. Most fittingly, he is greeted at the top by typical lombarde clouds, depriving him of the hoped-for vision of distant Turin! Meanwhile, as if to prove that the doughty Carthaginian’s exploit still commands respectful interest, the Sierra Club of California programmed “a hike the Alps” outing on Hannibal’s trail for July 2010, with Traversette as one of the main objectives! Thus, in practically each alpine border region, from Savoy to Haute Provence, do we find people prepared to focus intellect and imagination on proving that the great general once visited their “neck of the woods”. 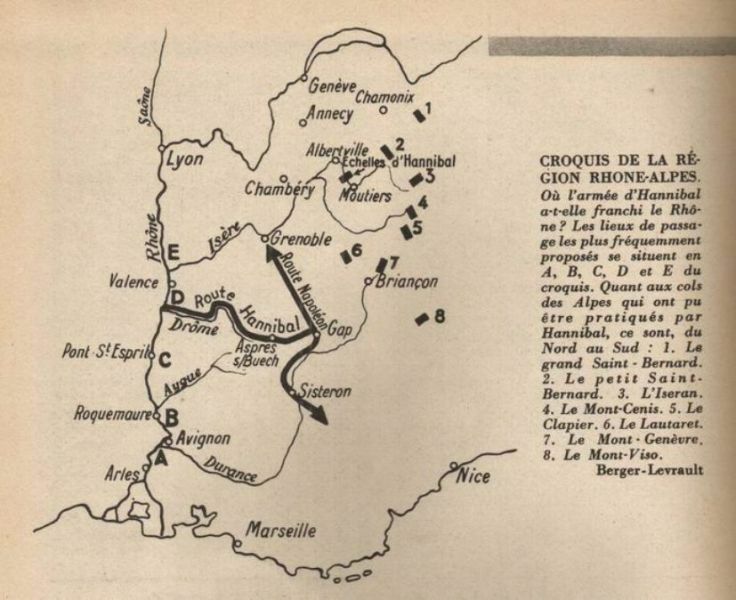 The sum total of unreliable historical sources, environmental criteria, time/motion studies of Hannibal’s column, logistics and sheer feasibility of the undertaking, appear to militate in favour of a route aiming at a frequently-used, relatively low-lying col (Montgenèvre, La Croix, Larche, etc. ), and following sunnier valleys than the harsh clime of Haute Maurienne or Tarentaise. This notwithstanding Scullard (2002), who declares: “If any trend can be detected, it perhaps leans towards the Col du Clapier”. Although he has relied on articles, books, field-work and web search to compile this survey, the present author does not feel qualified to volunteer a solution. While Clapier and Traversette remain red-hot favourites, in his opinion their excessive altitude and steepness on the Italian slope make them debatable candidates. More important, so long as archaeology fails to produce substantial finds, in terms of Carthaginian coins, elephant skeletons, weapons or suchlike artefacts – both Hunt and Mahaney are apparently awaiting permission to dig – discussion of this riddle may last indefinitely. The writer is an Anglophile Frenchman, a member of the London Alpine Club and long-time specialist of Berber History, Language and Culture. In 1975 he defended his doctoral thesis in Human and Rural Geography on a highland Berber region of Morocco at the Institut de Géographie Alpine (I.G.A.) in Grenoble and has since written guide-books in English on the Atlas Mountains. Not to mention similar publications on the Pre-Alps, entire sections of which he has crossed on foot, together with much of the Hannibalic country, presumed or real, in Diois, Dévoluy, Ubaye, Queyras and Haute Maurienne. From 1999 to 2009 he lectured on “History and Culture of the Berbers” at Al-Akhawayn University in Ifrane (AUI), Morocco. Beer (de), G., Alps and Elephants, London: 1955. Blache, J., « L’ancienne voie du Cenis », Mémorial du Docteur Marc de Lavis-Trafford, Travaux de la Société d’histoire et d’archéologie de Maurienne, t. XIV, 1962. Bocquet, A., Hannibal chez les Allobroges : 218 avant Jésus-Christ : La Grande Traversée des Alpes, La Fontaine De Siloé, 2009. Bonus, A.R., Where Hannibal passed, London: Methuen, 1925. Connolly, P., Hannibal and the enemies of Rome, London, 1978. Galbert (de), G., Hannibal et César dans les Alpes, Grenoble : Ed. Belledonne, 2008. Guillaume, A., Annibal franchit les Alpes, 218 av. J.-C., La Tronche-Montfleury : Éditions des Cahiers de l’Alpe, 1967. Hunt, P., & Seicean, A., “Alpine archeology and paleo-pathology: Was Hannibal’s army also decimated by epidemic while crossing the Alps?” 2006. Hunt, P., “Hannibal in the Alps: Stanford Alpine Archaeology Project 1994-2006”. 2006. _______, “Alpine archaeology: Hannibal expedition – Stanford Alpine Archaeology Project 2006 Field Report”. 2006. ________, “Hannibal’s engineers and Livy (XXI.36-7) on burned rock – truth or legend?”, 2007. Jourdan-Annequin, C., « L’image de la montagne ou la géographie à l’épreuve du mythe et de l’histoire: l’exemple de la traverse des Alpes par Hannibal », Dialogues d’Histoire Ancienne, 25/1, 1999 : 101-127. Lancel, S., Hannibal, Paris: Fayard, 1995. Levin, B., Hannibal’s Footsteps, Sceptre (Hodder & Stoughton paperbacks), 1987 (1st pub. Jonathan Cape, 1985). Mahaney, W.C., Kapran, B., & Tricart, P., “Hannibal and the Alps: un-ravelling the invasion route”, Geology Today, (Blackwell Pub. Ltd.), vol. 24, n°6/2008a: 223-230. _____________, & al., “Hannibal’s trek across the Alps: geo-morphological analysis of sites of geo-archaeological interest”, Mediterranean Archaeology and Archaeometry, Vol. 8, n° 2/2008b: 39-54. _____________, Hannibal’s odyssey: Environmental background to the Alpine invasion of Italia, 2009. Manteyer, G. de, « Le franchissement des Alpes par Annibal, de Grimone à Mary », Travaux de la Société d’Etudes et d’Archéologie de Maurienne, XIII, 1956. Mommsen, T., Histoire romaine, tome III, Librairie Franck, Paris, 1865, pp. 123-147. Neumann, J., “Climatic changes in the Alps in the years about the year of Hannibal’s crossing (218 BC)”, Climatic Change, vol. 22, n°2/Oct. 1992: 139-150. Prevas, J., Hannibal crosses the Alps: the enigma re-examined, London: Sarpedon, 1998. 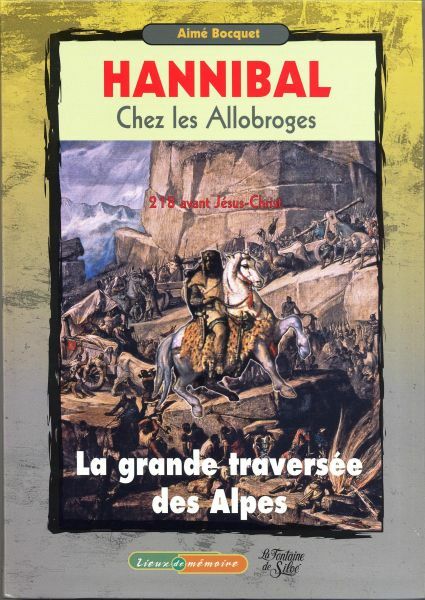 Renaud, J.-P., “Reconnaissance de l’itinéraire d’Hannibal du Rhône au dernier col alpin », Bulletin de la Société d’Études des Hautes-Alpes, 1994. Saint-Simon, Histoire de la Guerre des Alpes, 1770. Scullard, H.H., A history of the Roman world, 753 to 146 BC, 2002. Torr, C., Hannibal crosses the Alps, London: Cambridge University Press, 1924. Text copyright by Michael Peyron; material from same may be quoted in compliance with current academic practice. Cet article a été publié le Jeudi 2 septembre 2010 à 17:13 et est catégorisé sous Hannibal crosses the Alps. Vous pouvez suivre les réponses à cet article par le fil Flux des commentaires. Vous pouvez laisser un commentaire. Les trackbacks sont fermés.